Discussion in 'Apple iPad News' started by iDan, May 7, 2010. ZDNet reports today that the iPad is making sizeable forays into the netbook market. They quote the figures presented in a chart published by Morgan Stanleyâ€™s Katy Huberty which indicate that sales of cheap, low-powered netbooks reached a peak last summer, only to see growth fall off dramatically in January, following the end of the holiday shopping period and the start of the launch period of new products at the Consumer Electronics Show. 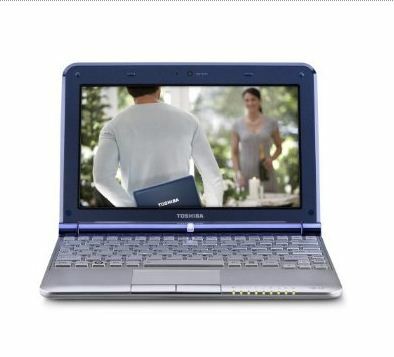 The report details how netbook growth dropped again in April. According to a similar story on CNNMoney.comâ€™s Apple 2.0 blog, Huberty also quotes a Morgan Stanley/Alphawise survey held in March, that reported that 44% of U.S consumers who had planned to buy a netbook or notebook computer were now planning to buy an iPad instead. The Morgan Stanley/Alphawise survey also predicted that the iPod touch is the next device to be â€œcannibalizedâ€ by the iPad, but as ZDNet points out, itâ€™s not so likely that the iPad will totally devour the iPod touch, as there are some things that the iPad is just not as convenient for, such as listening to music on your commute on crowded public transport, for example. Yep, if it would just use Flash, it would be perfect. I have a work related website related to training that uses Flash. My employer will NEVER spend the money to convert the site. Bummer. I've never really seen good use for a netbook. And now they have become even more obolete. Very true just slightly disable laptops. While the iPad might win out on some particular functions--video playback quality, in particular, the truth is there are a great many things Netbooks can do that an iPad just can't. Right now, at least. And while that may not make a Netbook better than a laptop, in some instances a Netbook certainly seems better than an iPad.